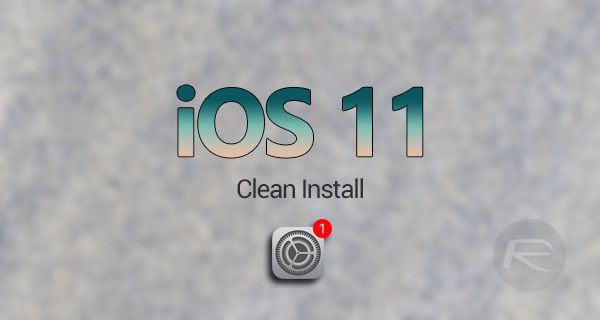 Here’s how to clean install iOS 11 via iTunes the right way on your compatible iPhone, iPad or iPod touch device. Apple has done a wonderful job of letting the world know that iOS 11 is a fairly substantial update. Not only is it now out and available for all compatible iPhone, iPad, and iPod touch devices, but it also instantly brings some wonderful new features to those devices. This guide will walk you through the process of getting a clean install of iOS 11 onto your iPhone or iPad. Note: It’s important to know that this will wipe your device completely. Make sure you have backed up before going ahead with this. Step 1: First up, you are going to need to update to the latest version of iTunes on your PC or Mac before you continue: Download iTunes 12.7 With iOS 11 Support On Windows And Mac. Step 2: Next, you are also going to need to download the correct IPSW file which matches the device that you are intending on installing iOS 11 to. You can grab the required IPSW file from here: iOS 11 Download Final IPSW Links And OTA Update Released. 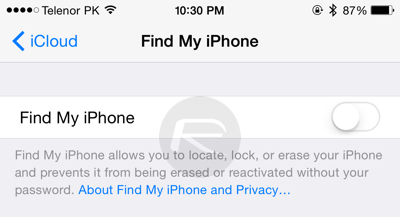 Step 3: Now head to Settings > iCloud > Find My iPhone. Make sure you toggle the switch into the OFF position to disable this particular feature. Step 4: Using the supplied Lightning cable, connect your device to your PC or Mac. If iTunes wasn’t open then it will likely launch. If not, launch it manually if it isn’t already running. Step 5: Select your connected device from the iTunes interface. This will take you to that particular device in the iTunes software and give you access to new features. Step 6: You need to do a manual restore rather than an iTunes standard restore. This involves holding down the Alt key on a Mac, or the Shift key on a Windows machine, and then clicking on the Restore iPhone… button. iTunes will then want you to select a specific firmware file to install to the device. 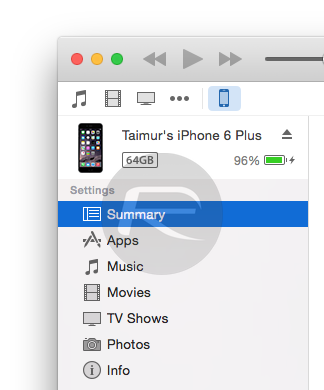 Step 7: Select the IPSW file that you downloaded earlier which is specific to your device. iTunes will now go through the process of installing the clean version of iOS 11 to your device. As noted earlier, although this is likely to be the best way of installing iOS 11 to your device, which essentially gets you into a clean slate, it does also mean that it will delete all device data and information from the device. Once the process is complete, you will be presented with Apple’s standard setup process which will either let you setup the device as new or restore data from backup. Why not just backup. And then restore. Update. And then restore from backup. Just using iTunes? Have I been doing it wrong lol? the clean install allows for you to have the old iOS removed and a fresh copy of the new iOS installed on a clean slate. When you layer one iOS on top of another by simply updating, you can easily bring data that conflicts into your new iOS. this can lead to a slower phone, lesser batter life, among many other issues. Hi what if I just wanted to update to iOS 11 and not 11.0.1 can I just shift + update then choose the iOS 11 ipsw file? Thanks. Yeah, it certainly will. Had the same problem on iPhone 6 and it worked! Now iPhone works as a new =D Just amazing how fast it is now. So yes – it certainly works!